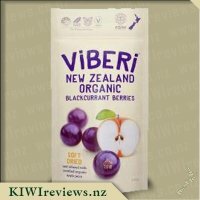 Our ViBERi Blackcurrant Powder is 100% Organic and has one of the highest levels of Vitamin C and Antioxidants. Boost your everyday - Feel the extra spring in your step and stay sharp. 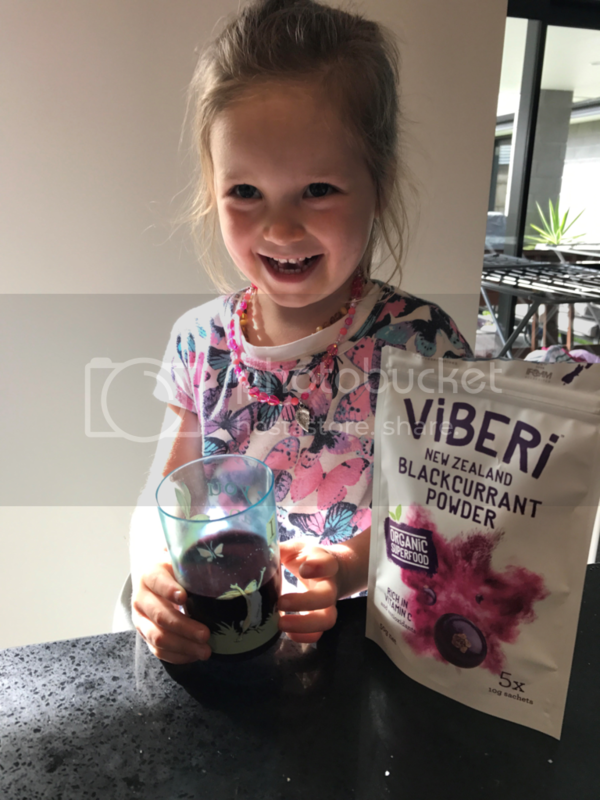 I was really excited to try Viberi&apos;s Blackcurrant powder as I&apos;d previously tried their Noir blackcurrants and they were delicious so I knew Viberi &apos;knew&apos; blackcurrants! 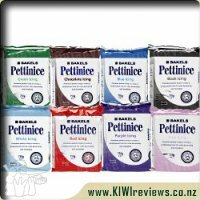 The foil packet is really colourful and attractive and contains five 10g sachets of powder. 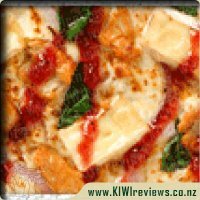 The ingredients are simply 100% certified organic New Zealand blackcurrants so you can&apos;t get better than that! This &apos;superfood&apos; claims to reduce tiredness and fatigue, protect cells from free radical damage and basically put a spring in your step, awesome, just what I need! I liked the fact that the sachets contained the perfect amount of powder so there was no need to worry about getting measuring spoons or scales out, I just had to open the sachet and empty! The sachets also mean they are easy to pop in your bag and use when out and about. I first used a sachet in a smoothie and kept it simple with just a frozen banana, water and one sachet of blackcurrant powder. WOW, it was lovely and the blackcurrant taste was rich and flavoursome...... the smoothie looked lovely too! I also used a sachet in a batch of plain cupcakes to see what difference this would make. Not only did they have a lovely rich purple colour (which my two girls absolutely loved!) but they had a lovely subtle blackcurrant taste. It was great that my daughters loved them so they were getting the huge health benefits that one sachet gives. Although I really, really enjoyed this powder and the benefits are fantastic, it does work out at roughly $2 a sachet which for my budget, would be a luxury, not a necessity. I would definitely buy in the future but this would be for special occasions and not (unfortunately) for daily use. I was so excited to see this product on the list of available items to review and put my hand up immediately; I have heard a lot about fruit powders but never had the opportunity to try one until now. 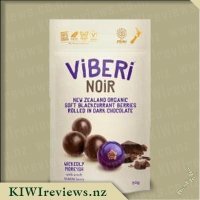 I am so impressed ViBERi, what an amazing product this is! It wasn&apos;t until I received the packet and got reading the information on the beautifully presented packaging that I realised just how many health benefits this product packs. Not only is the packaging beautifully presented, it is effective in that it stands out and isn&apos;t like any other product I&apos;ve seen. 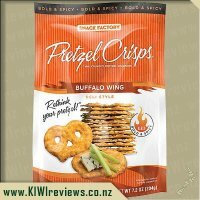 I totally love the idea that the packet is resalable and means I am comfortable with not having to use all of the packet immediately with the knowledge it will still be kept fresh. 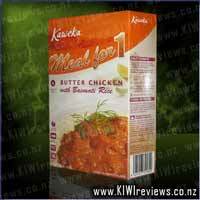 Inside this is five little packages with each containing 10g of the delicious product. With everything I have made so far I have used an entire sachet however I think if you were just using the powder for colour rather than flavour then I think you would be fine using half a sachet a time. 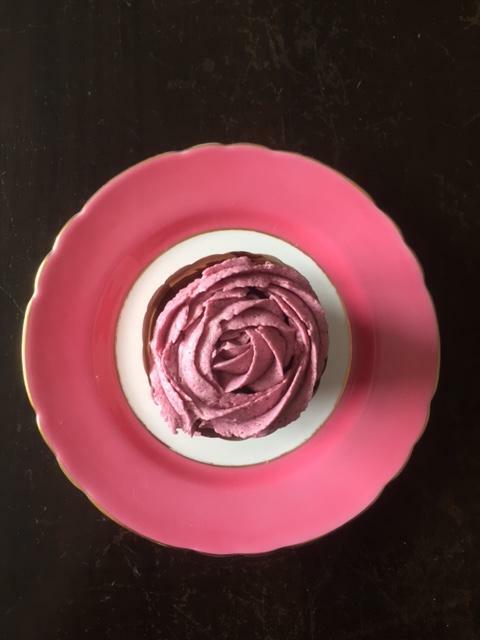 It really does create a beautiful purple colour so would be just perfect for all those baking and icing recipes. First up I used this product as instructed on the packet - to make a totally yummy smoothie with banana and apple juice. My 3year old thought this was just amazing and was so excited to have her own "grown ups smoothie". I was stoked knowing I was secretly getting all this extra goodness into her! A definite parenting win right there. My 1year tried it but wouldn&apos;t have any more, though I think that is more to do with him than the product! Next I made pancakes with a sachet of this product added and oh my goodness talk about yum! Pancakes with a hint of berry, then when you got an outside crispy edge you would get an even bigger hit of blackcurrant. Yum, yum and more yum, I could easily eat these every day of the week. Both children, myself and my husband quickly made light work of these and they disappeared a lot quicker than normal pancakes. I was impressed with the flavour punch as I did wonder if it might get a bit lost amongst the pancake flavour as they cooked in the pan. Lastly I also used this same mixture and baked it in the oven to make little mini pancake bites/muffins. Both children are loving these in their lunchboxes and while they are loving their treat, I am again loving the parenting win and knowing all those added benefits of blackcurrants that I am getting into them! I am seriously impressed with the versatility of this product and am already planning other things that I can use this for, without a doubt I will be buying this product and have already recommended it to several friends. If you haven&apos;t already heard about it, then check this out and try it for yourself today! As soon as I requested this sample I was dreaming of the things I could try it in. Maybe a delicious smoothie or I wonder how it would work in baking? I certainly put it to the test! Let&apos;s take a look at the pack size for starters because I love that it&apos;s in individual sachets! 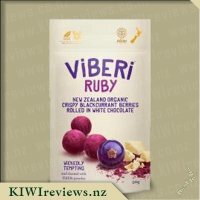 Most of the time you really don&apos;t need a lot for the flavour kick that Viberi brings so the individual sachets are perfect. So began the experimenting. The first was a smoothie which I kept super simple to really get the full blackcurrant flavour. I used yoghurt, banana, milk and a tablespoon of the powder. Not only was the colour divine but it tasted so good. Absolutely a guilt free breakfast with so many health benefits. I then went to something a little more unhealthy - cupcakes! I know that freeze dried fruit powders have become really popular in baking but i&apos;d never come across a blackcurrant powder! I made a red velvet cupcake and then flavoured my frosting with just a few teaspoons of of Viberi. 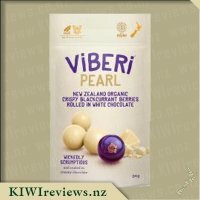 I&apos;ve tried to achieve a pale purple for a long time and no food colouring can compare to Viberi, it&apos;s stunning! I took the cupcakes to a baby shower and they received rave reviews! 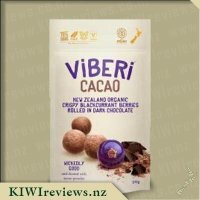 I guess Viberi lets you have fun and experiment in the kitchen. It allows you to create a unique flavour, a unique colour and gives you so many health benefits. So go and be the next Heston Blumenthal and see what you can create with quirky purple Viberi Blackcurrant Powder. You absolutely won&apos;t be regretting your purchase. Superfoods are high on my list of favourite items at the moment being in ill health with newly diagnosed lactose/dairy and gluten intolerance I have been finding things to boost my struggling immune system and gut health. 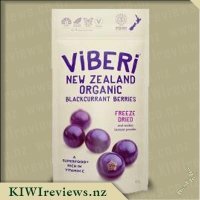 Having all the vitamin C and the antoxidants that blackcurrants have I really loved this product and it was by far my favourite of the ViBeri products I tasted and reviewed. I always remember when I was young and sick my mum always bought me Ribena but as we all know these days Ribena is not all it is cracked up to be. A bit of a shame really as despite the fact that Ribena itself was found to have less vitamin C than claimed and high levels of sugar the blackcurrants themselves do have lots of benefits so a product like this blackcurrant powder could easily become a spotlight product for the benefit of blackcurrants. The powder is amazing in all sorts of ways and I have found so many ways I have liked to use it. I have stirred it through yoghurt in the morning and over fresh fruit like kiwifruit and orange to add a bit of a different taste. 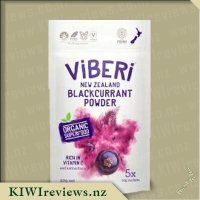 I have been struggling with the change of season a bit and have had a constant cold for the last few weeks so I have been loving the winter fruits like oranges and kiwifruits and the addition of this blackcurrant powder it has made it all the better. I have been using it in smoothies too and the flavour is incredible and it certainly has made my smoothies look very pretty! Even my son has been keen to have smoothies with me in the morning because he has been so impressed with the purple colour. I definitely feel the vitamin C has helped me with my immune system over the last few weeks and aided in my recovery from the winter ills and chills. 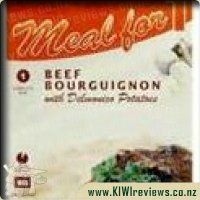 I would buy it again and again as it is just such a great product and such an easy addition to my daily meals that will help me add more nutrient to my diet. This is such a versatile product. It has a strong flavour so a little goes a long way, and when you use it you know you are adding all the benefits of blackcurrants to your food as well. Each pack is triple sealed to ensure freshness. After opening the pack, you then find a zip lock that can be closed again after each use. There is a further seal insofar as the packet contains five smaller sachets and each of these is individually sealed as well. I started by opening one of the little sachets and sniffing the contents. It had a pleasant smell although it did not remind me particularly of blackcurrants. But there again I had a slight cold so that might have reduced the smell for me, and what better time to test out a product containing lots of vitamin C? I started off by making a hot drink. I was careful not to use too much powder as I had tasted it after completing the sniff test and had found it quite concentrated. So I experimented, using half a teaspoon to a mug of hot water and adding a little sugar. This was pleasant but not quite strong enough. I added another quarter teaspoon and that was about right. It made an enjoyable hot drink which I would happily drink at the end of the day in place of a cocoa or decaf coffee. Next I stirred half a teaspoon into a banana smoothie. I was getting an idea by now of what strength worked best. Clearly it will be a matter of personal preference, but this was the right quantity for my taste. My blackcurrant and banana smoothie was delicious, and it was nice to know that it was good for me as well as tasting wonderful! Persimmons are in season, so we had a sponge cake organised for dessert. The filling was sliced persimmon and cream. However, I don&apos;t like putting icing on top of a sponge as it takes away from the cake&apos;s delicate texture. I know people who melt chocolate on top of their sponges and then let it set. Gross! That does not work for me at all. On the other hand, a thin layer of cream sprinkled with blackcurrant powder looked wonderful and the sponge retained its springy quality. I did not measure the powder this time; I just sprinkled it on top till it looked right. The cake was divided into eight generous slices, and six people (including me) got to take one. Everyone loved it! The tart blackcurrant was sufficient to give it an intriguing taste which went a treat with the sweet persimmons. It proved so popular that every single person wanted a second helping. So we ended up dividing each of the remaining slices into three so we could all try a bit more. And they all went home determined to try out my new "recipe"! Blackcurrants! The amazing superfood that is higher in antioxidants and vitamin C than more things than I would imagine, it&apos;s higher than oranges, blueberries, cranberries and raspberries! I was really looking forward to trying out this powder on both Miss 4 and myself especially coming into winter where the winter illnesses and bugs are all around. 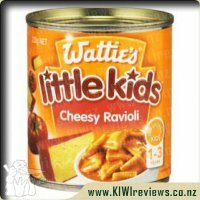 With Miss 4 allergic to the likes of oranges and such I was rather happy to try this on her in the hopes of boosting her vitamin C levels and luckily for me she loved this. 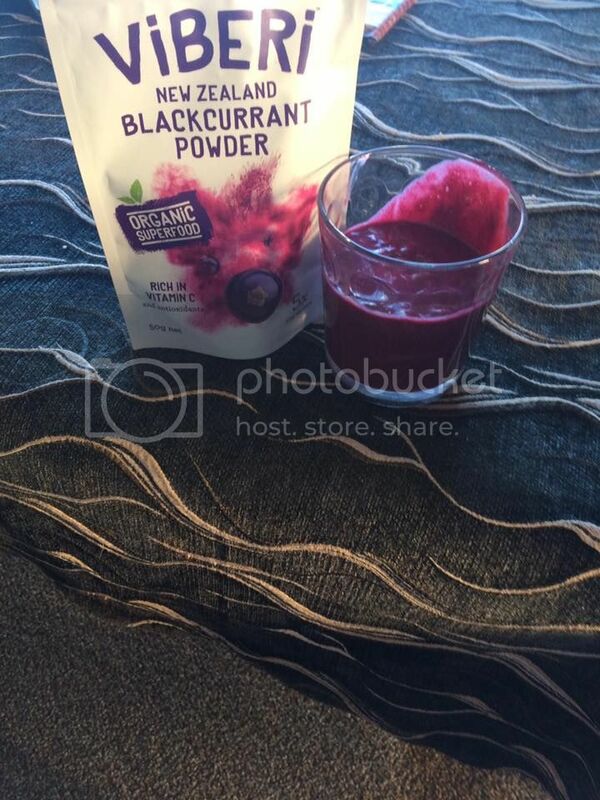 The blackcurrant powder comes in 5 individual sachets, each which contains 10g of powder, the sachets have a little tear at the top of them which makes them super easy to open. 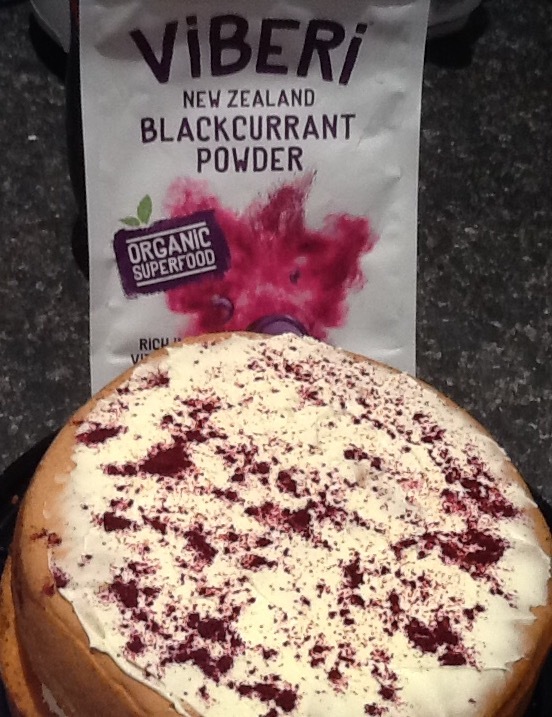 The blackcurrants used in this powder are grown in New Zealand which is great, as I love to buy New Zealand made products when I can, and seeing as this product is made from nothing but 100% certified organic New Zealand blackcurrants you know it has got to be good for you. First time round I decided to try this powder in a smoothie, and so to be safe I made the power smoothie as suggested on the back of the packet. I popped a sachet of the powder into my blender, along with a banana, 1/2 a cup of apple juice and 1/2 a cup of water and within seconds the ingredients were combined and the smoothie was ready to drink. The colour that the blackcurrant powder gave it was incredible a lovely deep purple, but most importantly it tasted amazing, even Miss 4 liked it. The flavour of the blackcurrants was lovely with the combination of apples and I found it wasn&apos;t overly sweet, but nor was it to sour, it was infact perfect. I experimented several times more with the powder in smoothies, once using it in a yoghurt base and once with some frozen mixed berries and pineapple and each time it tasted divine, it seemed that no matter what fruits you combined it with it tasted great. I had been busy baking some white chocolate and blueberry muffins and Miss 4 had asked if I could ice them so I decided to make up some white icing and into it I added half a sachet of blackcurrant powder, this was a great idea that tasted really yummy, and the purple colour really made the muffins stand out, I topped each one with a Viberi Ruby for a even yummier surprise. This has been a great product and i&apos;m not sure if it&apos;s just a coincidence or not but the cold I had when I first started using this powder has now gone, so I am left wondering if this is due to all of the wonderful antioxidants in the blackcurrants? Either way this is a great addition to any smoothie and with 5 sachets per pack each one works out to be about $2 per smoothie which is pretty good. 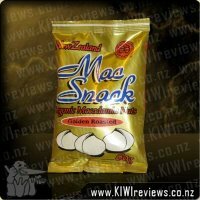 A awesome product I intend on buying again very soon. Our Macadamia Nuts are grown chemical-free and naturally fertilised, giving you a safe, healthy, nutritious and flavourful nut. Macadamia Nuts are rich in beneficial Omega-3 polyunsaturated oil. Macadamia Oil has the highest level of C16:1 (Desmethyl) of any known plant oil and the lowest levels of Omega W6 fatty acids of all culinary vegetable oils. 5 to 20 Macadamia Nuts a day has proven to lower cholesterol levels. Golden Roasted are well roasted and salted.